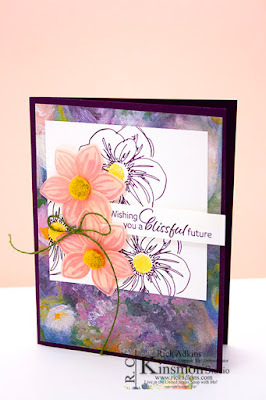 Hello and welcome to my blog; today I am going to share with you my card for this weeks Simple Saturday Stamping. 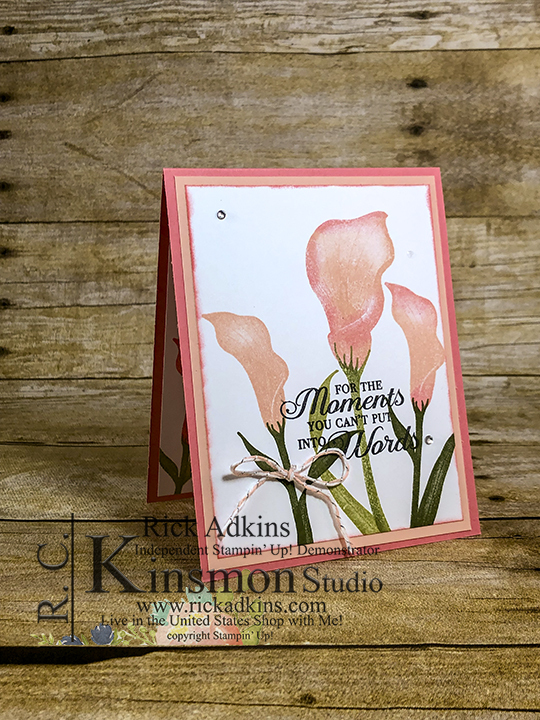 Today, I am going to show you how to create a quick and easy Sympathy card. I know that this is not the reason we want to make cards but sometimes we have to have them on hand to send out. And, wouldn't it make a person feel a little better when they get a handmade card from you. Here's a look at my card. 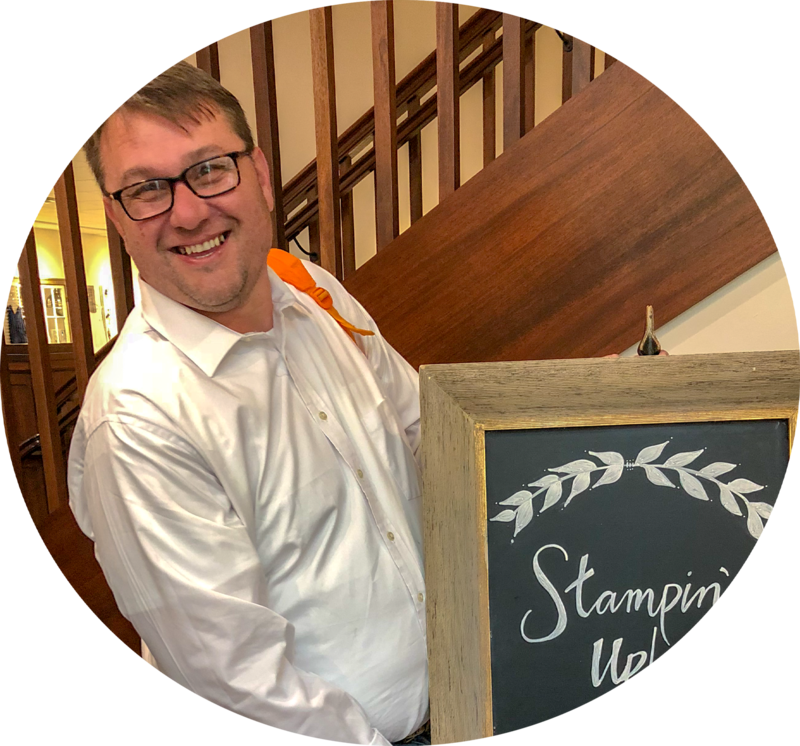 This is really not a hard card to create like the rest of our simple stamping cards, they are designed to teach card making to someone just getting started, or who has been thinking about getting started in this fun creative craft that will change your life. Most of these simple stamped cards only use stamps ink and paper. I try to share with you easy designs that you can totally recreate without a problem. 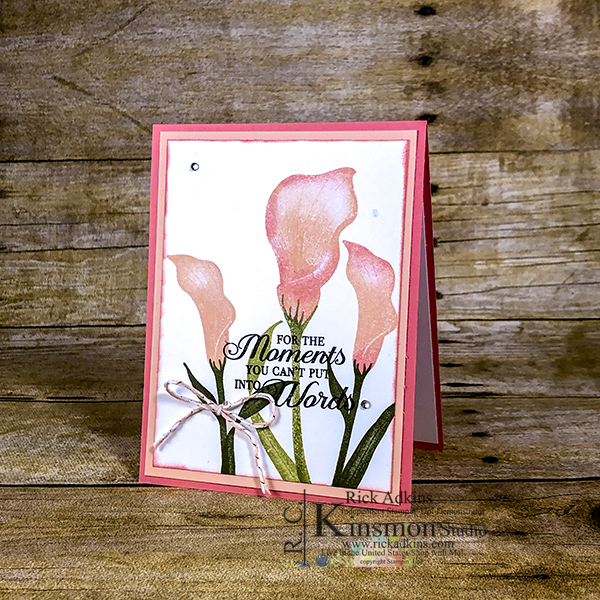 Check out the how to video tutorial here for today's card. I think that this is a nice card that would make the person that got it smile on such a bad occasion. 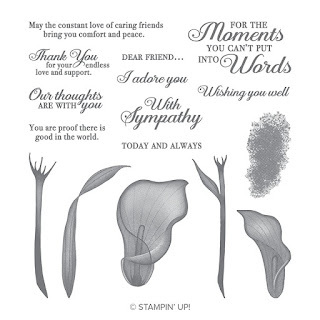 I like the Lasting Lilly stamp set for Sympathy cards. It has the perfect sentiments for these types of situations. The Lasting Lilly set can only be earned for FREE during Saleabration. And, there is only nine more days left of Saleabration. Lasting Lily is a second level Saleabration item which means to earn it for free you have to spend a $100 in my online store before shipping and taxes. Which we all know isn't really that hard to do some days. 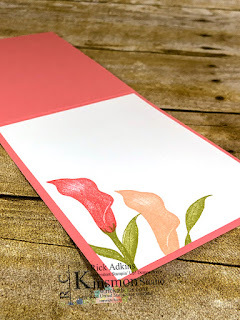 My card base is a piece of Flirty Flamingo cut at 4 1/4 x 11 scored at 5 1/2, and a piece of Petal Pink 4 x 5 1/4 . My stamped layer is 3 3/4 x 5. You will find a full list below in the shopping list. For the inside I just added a piece of whisper white and stamped the lily a couple times. 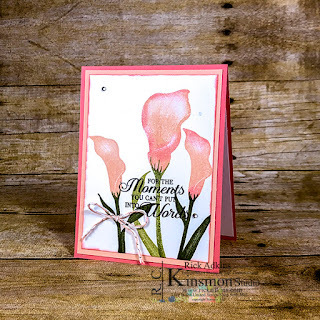 Thanks for dropping by I hope that you have enjoyed this weeks Simple Saturday Card. You can order all the supplies in my online store 24/7.